The last place we visited during our township tour was a day care/elementary school. 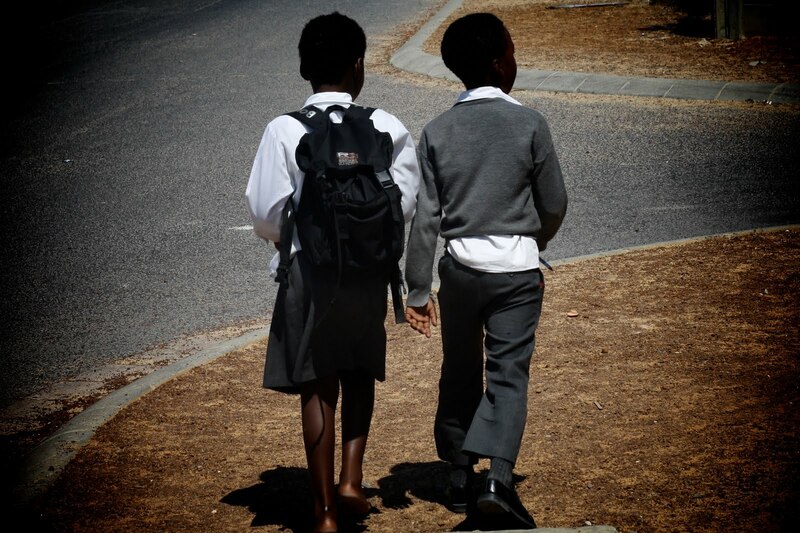 This school is funded by school fees paid by parents in the township, and is considerably larger and more modernized than the school in the informal area of the township. The kids who were playing outside came and pressed themselves up against the window when they saw us. They seem to have this secret "thumb-shake", whereby they come and put their thumb against yours. We weren't fortunate enough to meet the kids while they were in class, since they were either napping or cleaning up their toys. We seemed to be joining them around lunch time. Their lunch was prepared with wholesome, locally sourced ingredients, and looked healthier than anything we've ever seen served in a school. The children were notably well behaved. Before we left, the all got together and sang us a few songs, and inundated us with high-fives. Wow great pics. I love all the bright colors. Such cuties! oh my gosh so stinking cute!! Amazing pictures. Your posts always warm my heart. I bet this was an amazing experience. ugh, these photos gave me goosebumps! so wonderful! such precious children..one cuter than the next! talk about a reality ck on how we live in america..even our "hard times" seem rich in comparison. and the food did look wholesome, we spend SO much to feed our kids so badly. we really have it screwed up dont we? what a lovely blog!! the pictures are amazing.. Your whole life story/ies sounds so amazing! I love these photos. oh my gosh. 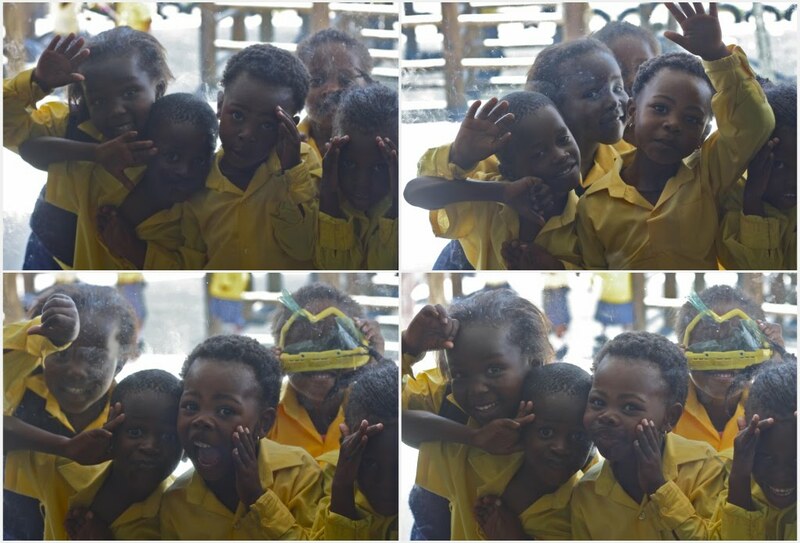 the kids with their faces pressed against the windows are just so darling! fascinating, as always. especially what they eat for lunch. so beautiful. love that yellow on that beautiful skin! what beautiful little faces. an amazing experience for you and them, i'm sure! love this photos.